Imagining someone’s head on a pillow can be therapeutic. You can beat the crap out of it or make out with it, depending on how you’re feeling about a certain person on any given day. PillowMob wants to make the experience even more enjoyable. 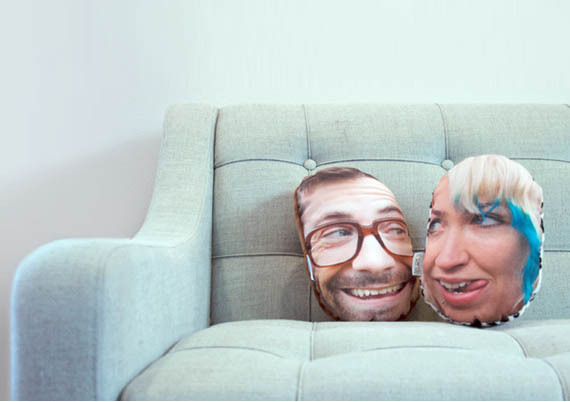 They create fluffy little pillows featuring the faces featured on the photos that you provide them with. So you can punch your ex-girlfriend or cuddle with your new one when she can’t be with you. You can even choose your head shape and hair color. Each pillow head is only $25 (including shipping) machine washable, and made in Seattle.